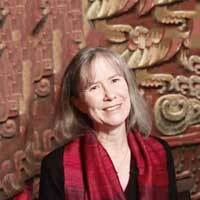 Dr. Loa Traxler received an appointment in the Department of Anthropology at The University of New Mexico in 2013. In addition to her work within the department, Traxler also serves as the Director of Museum Studies. Her experience includes over twenty-five years of excavation, survey, and collections management at sites throughout the world. She offers undergraduate and graduate level courses in both departments. She specializes in archaeological cultural heritage of the Americas, Mesoamerica, and Maya civilization, and her research focuses on the Americas, architecture and the built environment, archaeological collections, and public museums.